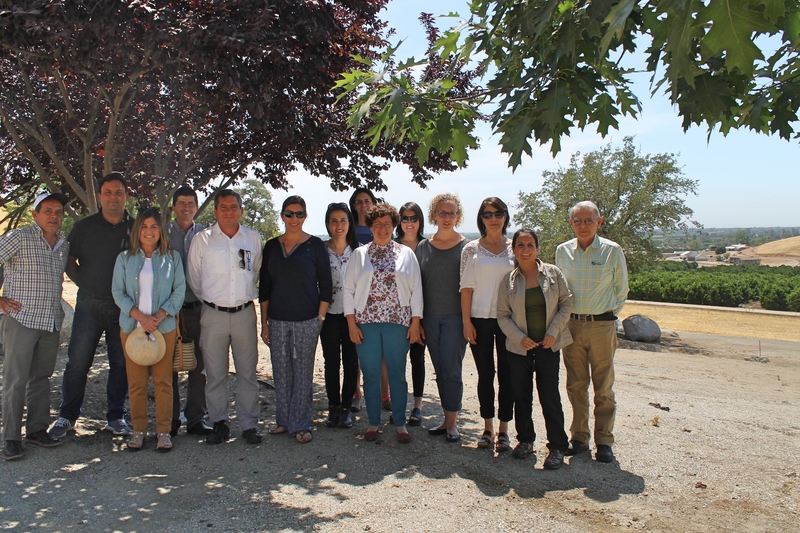 Monserrat Monsevalenzuela organized a visit to California by a group of Chilean researchers, nurserymen and regulators tto speak with various groups about how the California citrus industry is responding to Asian citrus psyllid and huanglongbing disease. At the Lindcove Research and Extension Center, Director Dr. Beth Grafton-Cardwell spoke about the Lindcove REC research program, citrus IPM and the status of the ACP/HLB management program. Casey Schoenleber spoke about the Citrus Clonal Protection Program and Dr. Melinda Klein spoke about the Citrus Research Board research program.